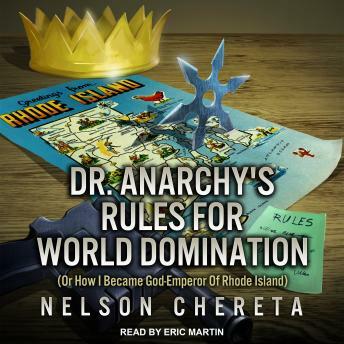 Dr. Anarchy is a man with a simple dream, to conquer and rule the entire world. While he has yet to achieve his goal, he has managed to become absolute lord and master of one small corner of it. This is the story of what one man was able to achieve though hard work, dedication, careful planning, unhealthy obsession, giant robots, disintegrators, remote controlled grolem dolls, a horde of disposable henchmen, killbots, an annoying cyborg ninja, and thirty-six rules every supervillain should follow!